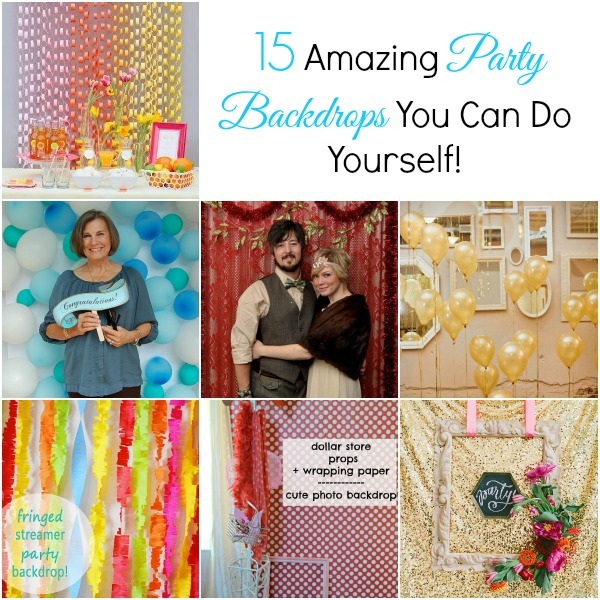 15 Amazing Party Backdrops You Can Do Yourself! 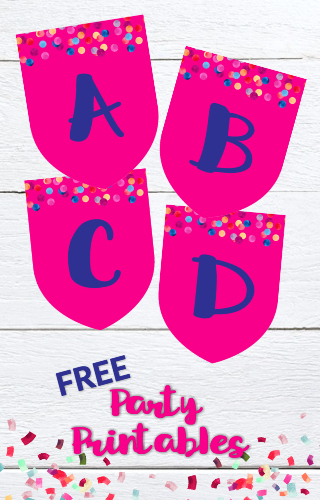 I’ve learned by throwing many parties over the years there is one thing that seems to seal the deal when it comes to making the party fun. What is it you ask? A party backdrop for pictures, that’s what! And it doesn’t matter if the party is for a 2 year old a or 102 year old. 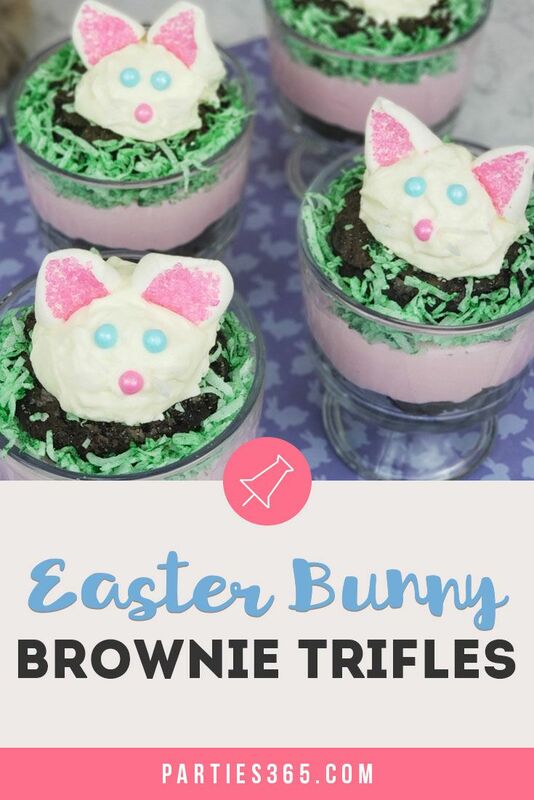 Setting aside a place somewhere for pictures and making it festive is a must-have for any party. 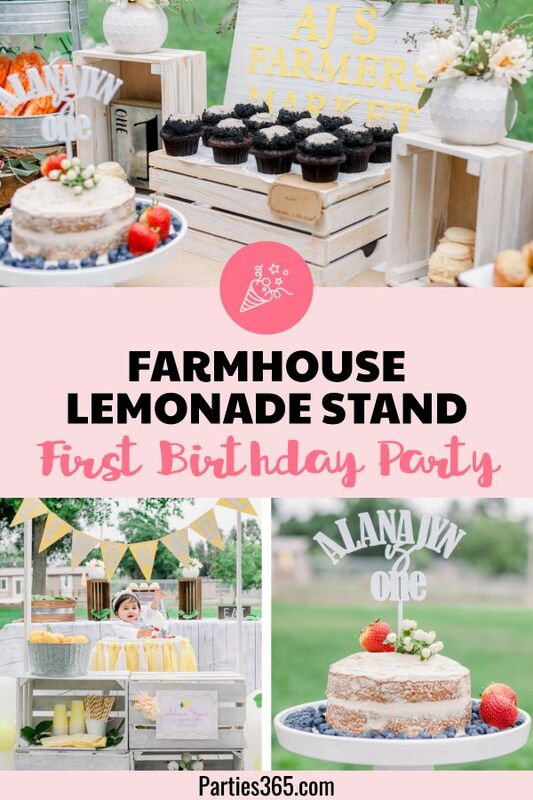 So gather up a few supplies, make sure you have some props for the guests to hold for the pictures (no worries, I’ll give you some ideas) and get that camera ready! 9. Hang Lace In Front of Fabric – Fancy! 11. Ombre Paint Stick Stirrers – You just got to go see it! 14. Chalkboard Backdrop Out of Old Retractable Map – So creative! 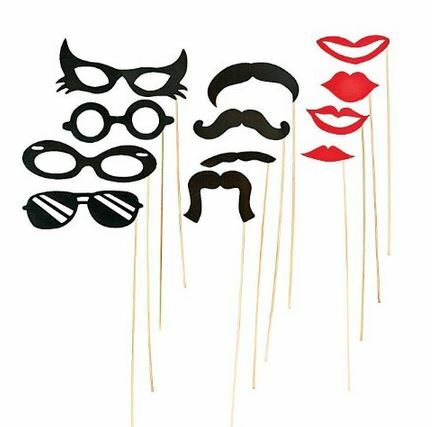 Some of these were used behind the party table to give it some pizzazz, but can easily be used as a backdrop for your party photos. Now, what about props for those photos? It all depends on your party theme. Just do a search on Etsy for “photo props” and you’ll be instantly entertained with all sorts of fantastic ideas! 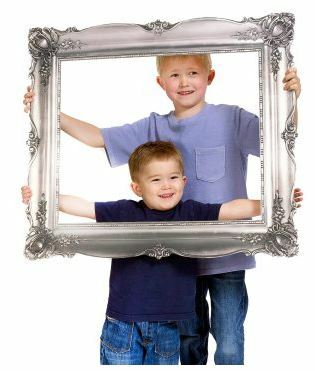 I’ve used items like this Antique Frames Photo Prop which always makes for great photos. 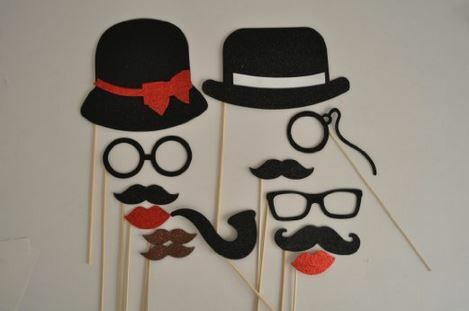 What’s a photo booth without a mustache or two right? 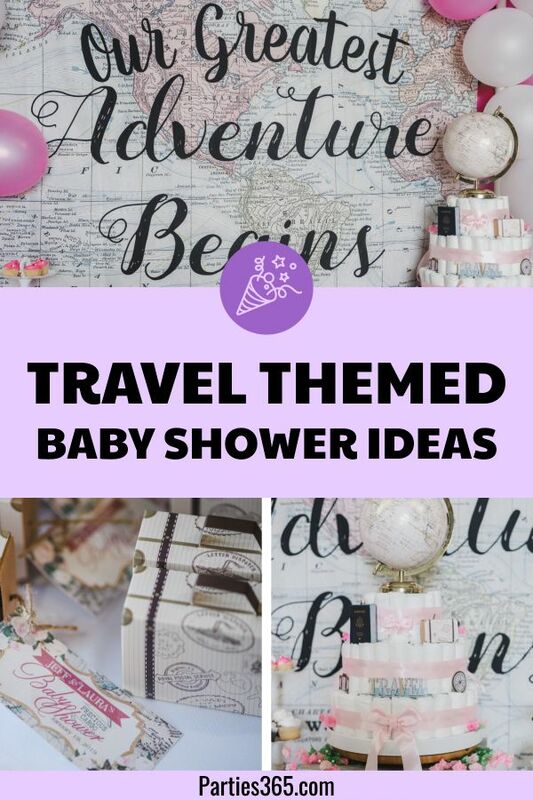 Get creative and have fun when it comes to the photo props. One thing is for sure, you will have some fantastic pictures for your guests and your scrapbook.